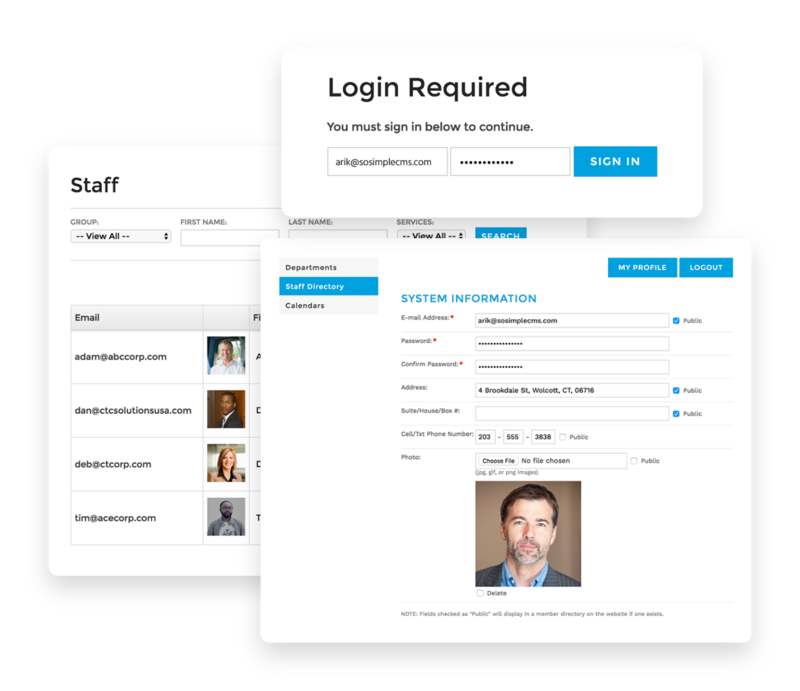 SoSimple’s platform has built to directly address the needs of AEC marketing and business development teams. Our platform is like no other system on the market. 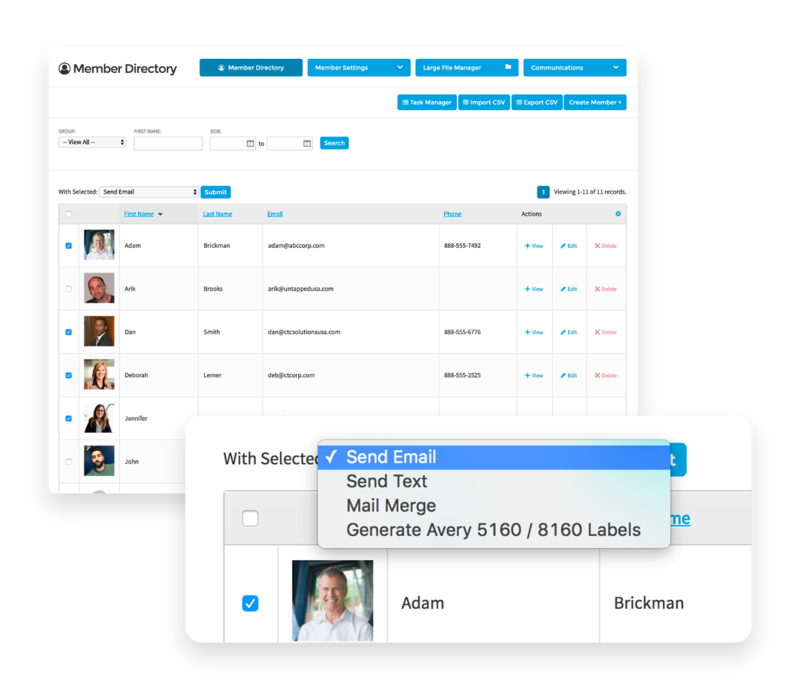 We’ve taken the best aspects of popular CRMs, email marketing and text messaging platforms, large file sharing, applicant tracking, and subcontractor management systems and combined these assets into a best-in-class content management system. We help design and construction firms improve their marketing and sales while providing efficient solutions for many of the operational challenges that they face, all from one centralized system. This way, you spend less time stretching yourself across multiple programs, and more time gaining results. 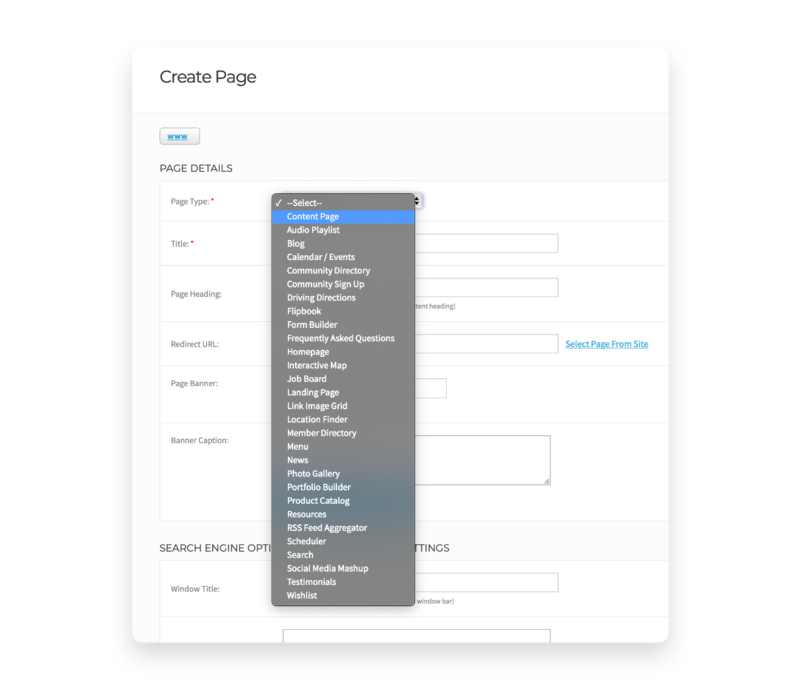 SoSimple CMS is a simple to use, yet powerful Content Management System that allows you to manage virtually every aspect of your website without sacrificing great design. 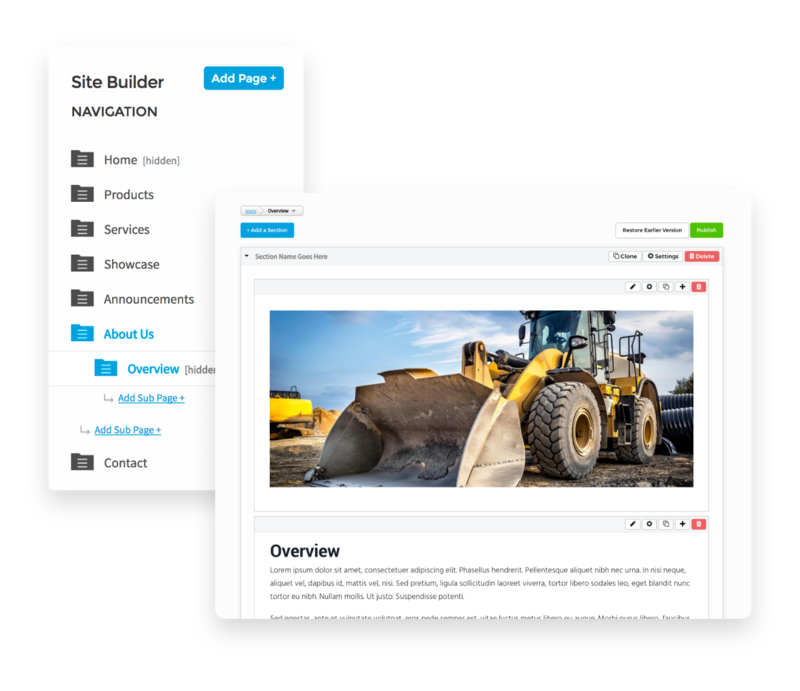 This system enables our clients to easily manage and scale their website without the on-going costs of a webmaster and with no coding skills required. 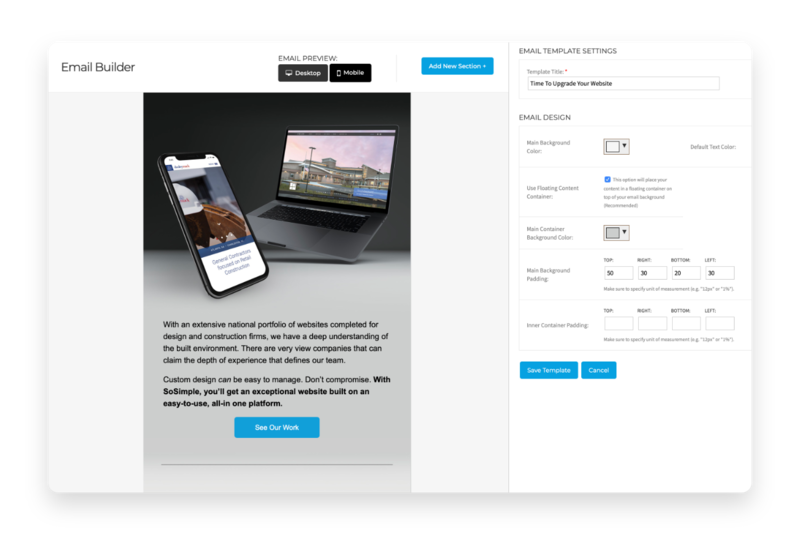 SoSimple CMS has been built from the ground up, supporting clients who are looking for custom designs rather than “canned” templates or themes. Communication is important. 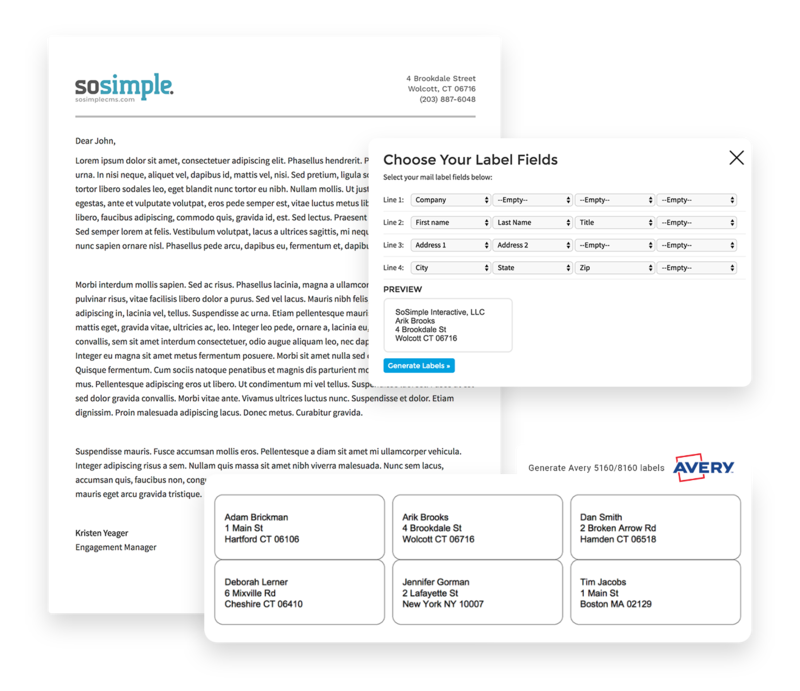 SoSimple's Platform allows you to send customized campaigns as bulk emails and text messages to your entire database, or individualized messages based on custom filters and groups. 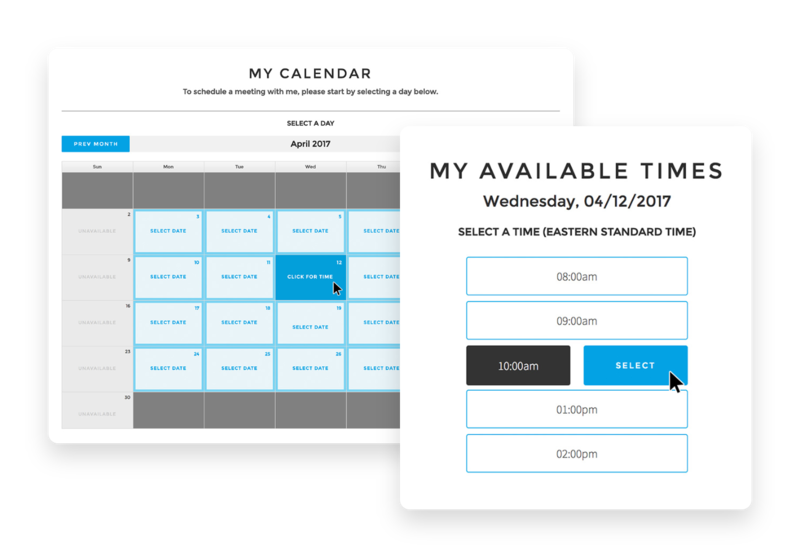 Plus you can automate emails using preset dates or dynamic date-driven triggers to send messages on citeria that you set. 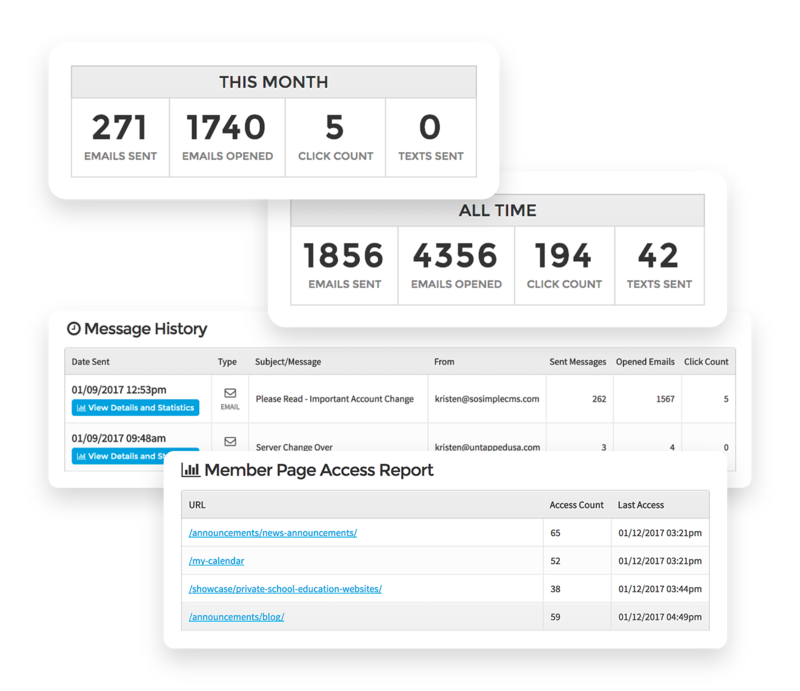 With access to important reporting and analytics on all of your communications, you can make smarter decisions about your online communications.